A sore neck, lower back pain, awful migraines...stress can be a real bugger. But did you know that you can seek stress relief by eating the right foods? This nifty infographic from One Fitness Camp is chock-full of recommendations for foods that pack a punch. The top five are almonds, oranges, bananas, broccoli and fish. All of these foods have nutrients that can help relieve stress whether it's through Omega-3 fatty acids, minerals like magnesium and vitamin B12, to name a few. So it seems mom was right when she told you to eat your veggies. Go ahead and treat yourself to some feel-good dishes like stir-fried beef with carrots and broccoli, orange and fennel salad and homemade almond milk and start feeling stress relief. 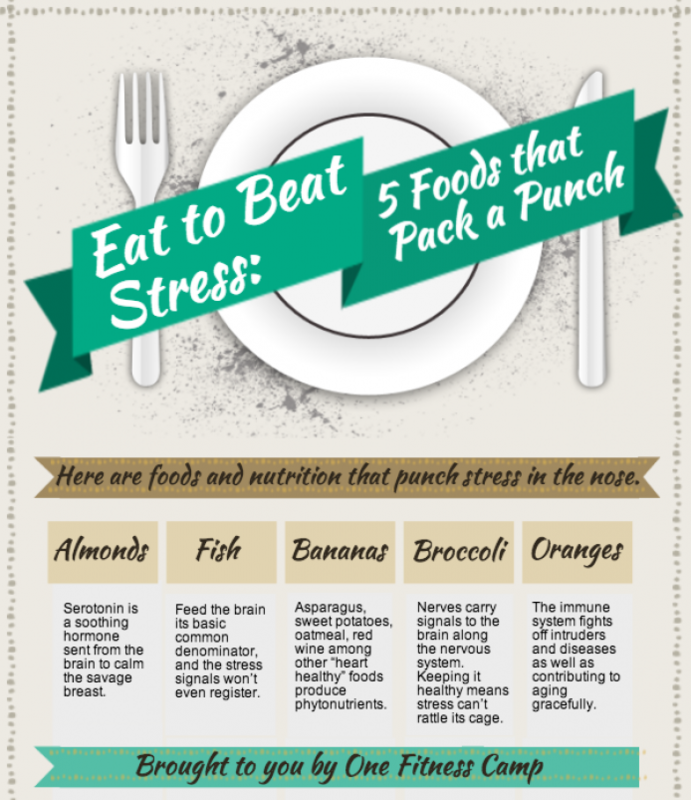 Learn more about stress-busting foods here and click on the image to enlarge. Here's a promotional video of the new Iron Chef America line of frozen meal kits.